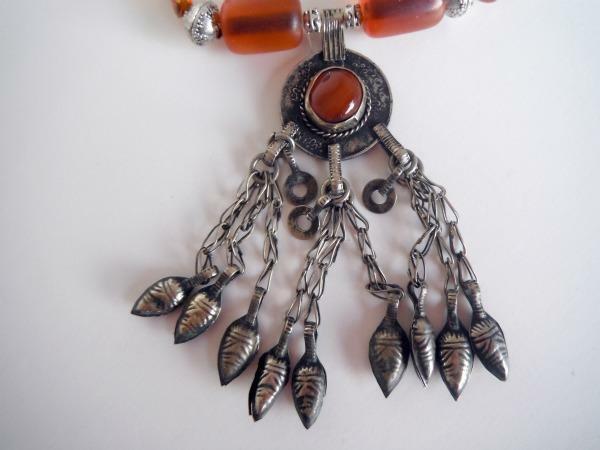 This beautiful Afganistan Coin Pendant Necklace comes with 9 dangles bells that jingle when you move. 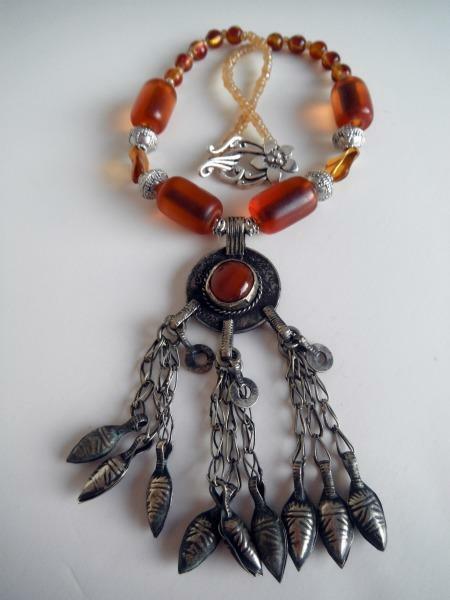 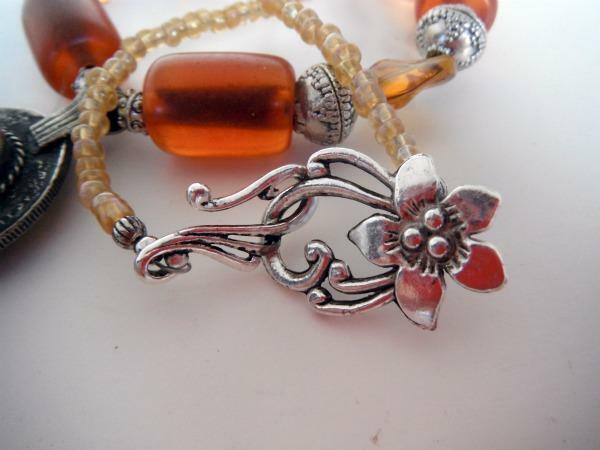 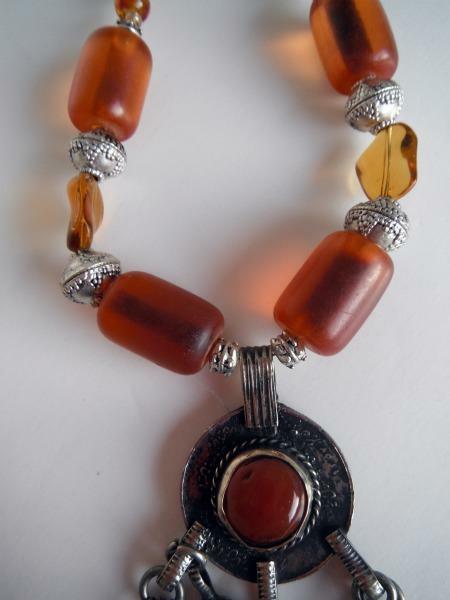 It has a orange glass stone in the middle and four amber beads. 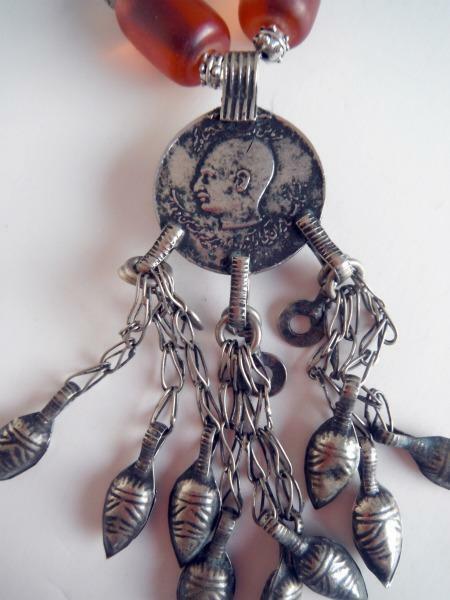 The last image is what the coin looks like from the back.